Last BOGO! It’s a Good One! ** Add two to three drops in a veggie capsule for an immune boost. ** Add to water for an effective all-purpose surface cleaner. ** Soak sliced apples in water and a few drops for a healthy, immune-boosting snack. ** Combine a few drops of dōTERRA On Guard with Fractionated Coconut Oil for a natural hand cleanser. Gentle, skin sensitive alternative to harsh soaps. 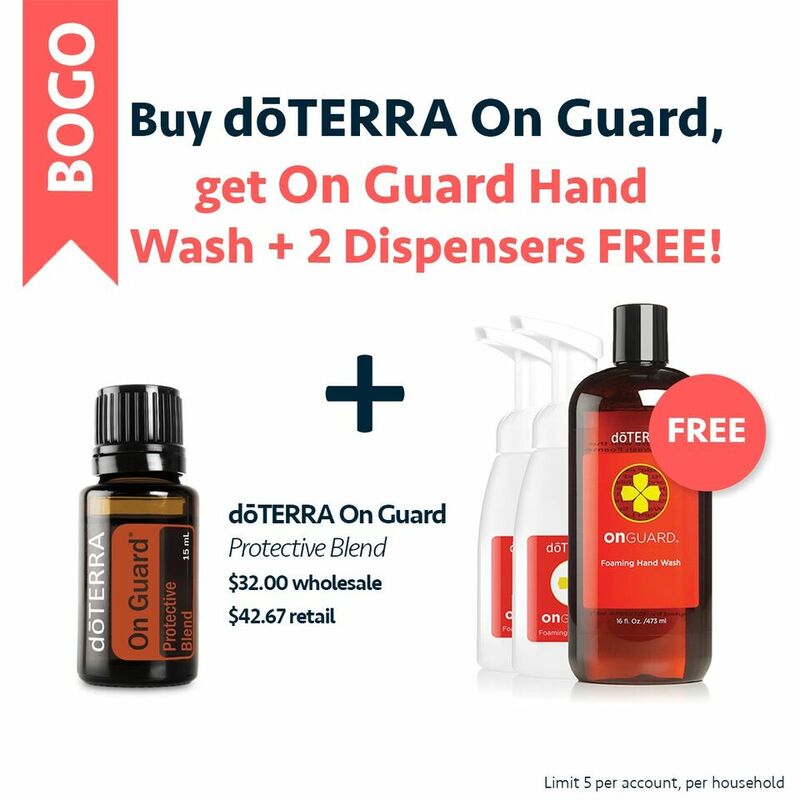 This hand wash is infused with protective proprietary dōTERRA essential oil blends that will leave your hands feeling fresh and clean.